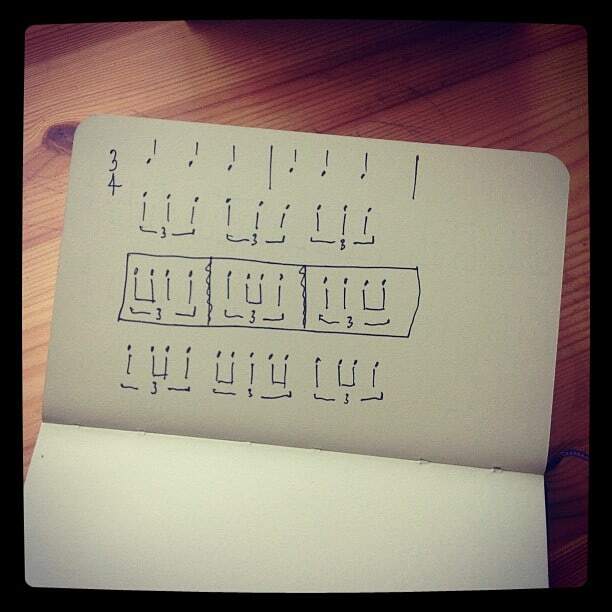 Here’s a polyrhythm of 9 over 6, or crotchet triplets in 3/4. Once you’ve got that, try playing the rhythms in the boxes. Actually, no. It’s not a waste. There have been MANY occasions when that has been useful.